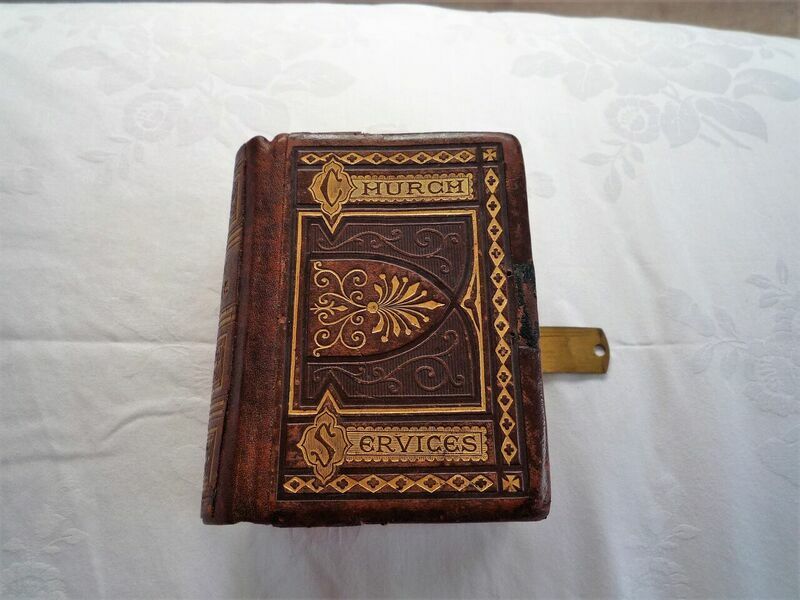 This is a small book (height less than a mobile phone) bound in full leather with half of an existing clasp. 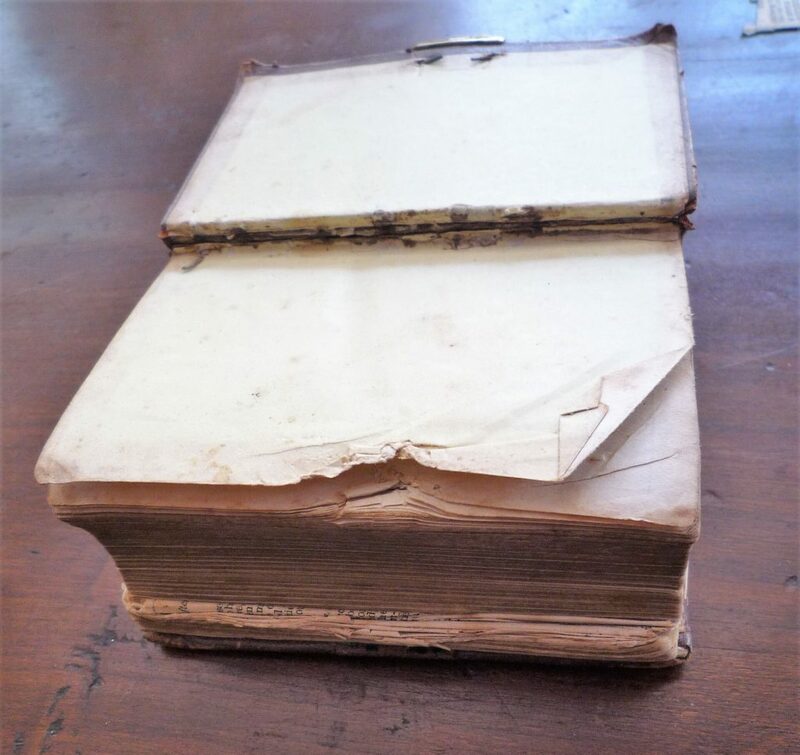 The joints were worn with losses at head and tail; numerous pages were torn and/or detached. The metal pins holding the back clasp were standing proud and had damaged the leaves of the last three sections. The boards were removed with the spine leather put aside; the book was disbound; paper repairs were made with Japanese tissue and leaves guarded (ie centre folds were reinstated); the book was then re-sewn; a new case was made using new replacement leather for the spine but utilising the existing boards; the book was cased-in on a strong Japanese paper hollow; new front and back flyleaves, appropriately coloured to tone in with existing pastedowns, were attached; finally the removed spine leather was glued to the new spine and the book polished. 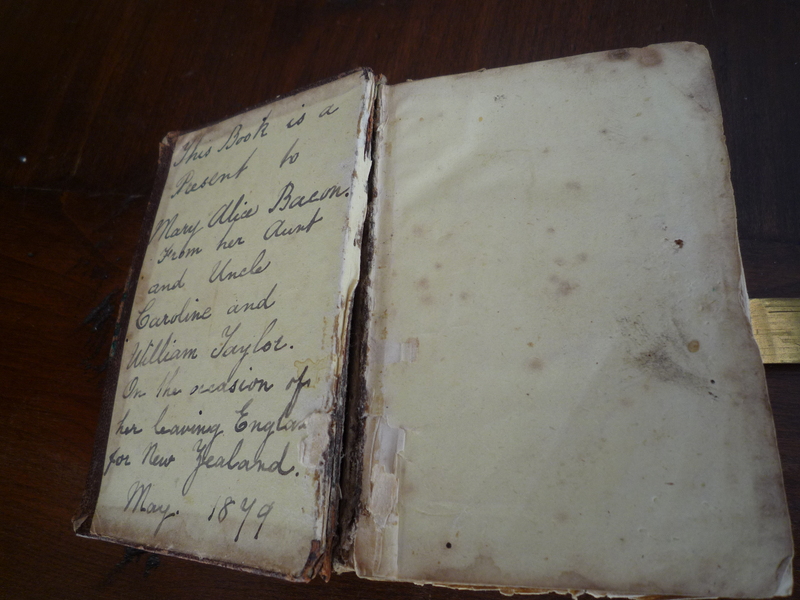 Back flyleaf and pastedown before repair. The wires attaching the clasp were standing proud and have damaged the leaves. 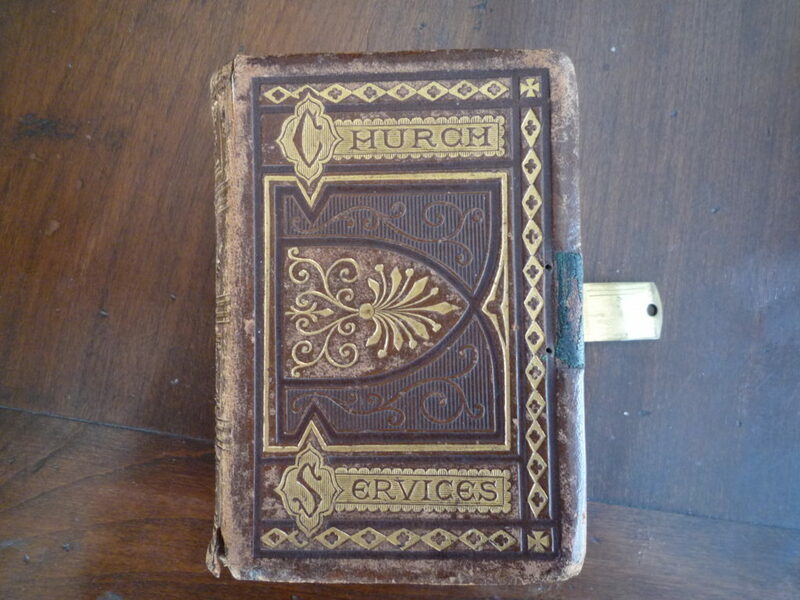 Front pastedown and flyleaf before repair. 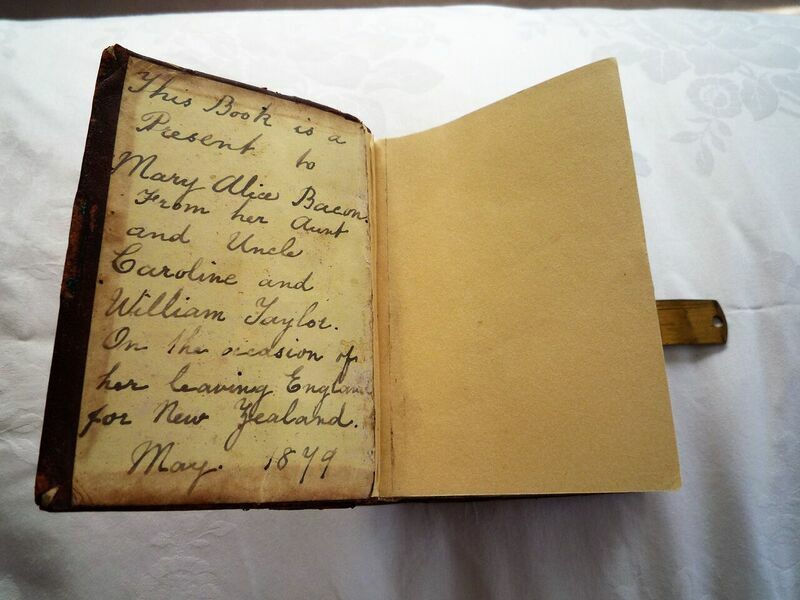 The pastedown had to be saved because of the handwritten inscription on it. 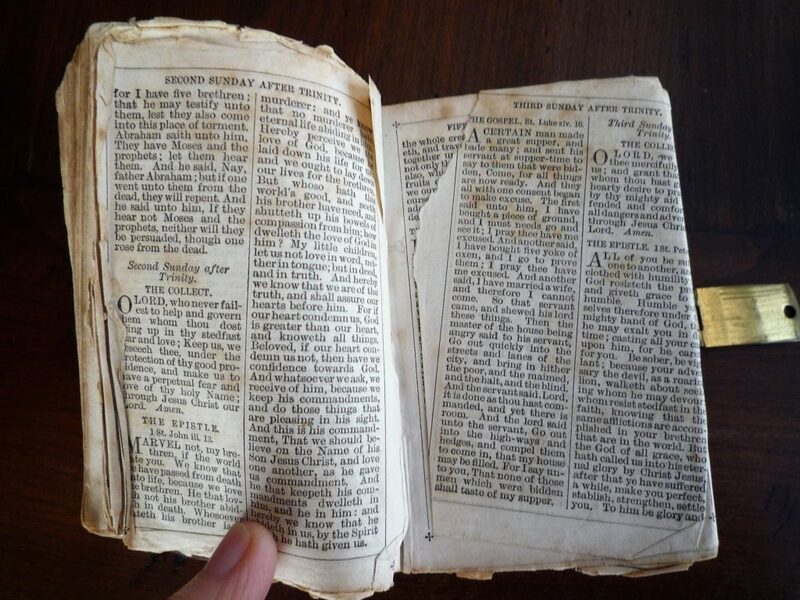 Torn and damaged pages before repair. 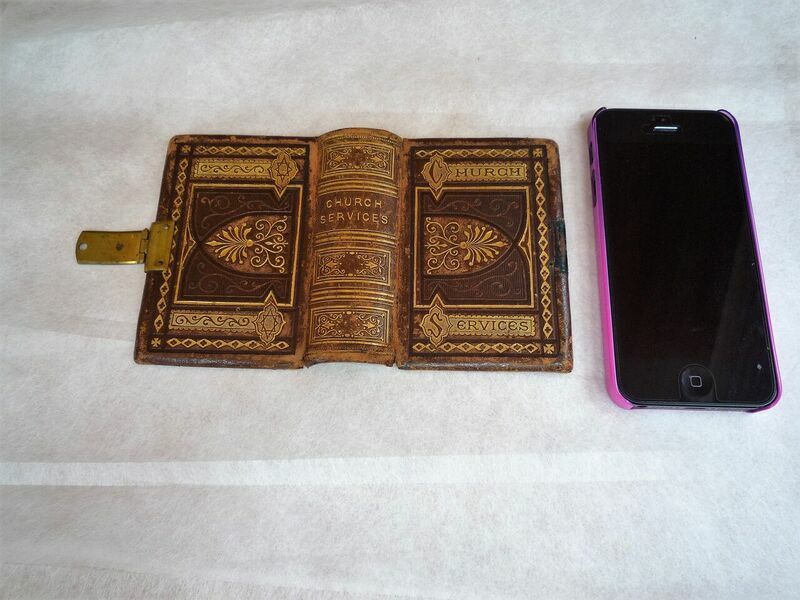 Boards and spine with bookblock removed (mobile phone shows how small this book is). After repair. 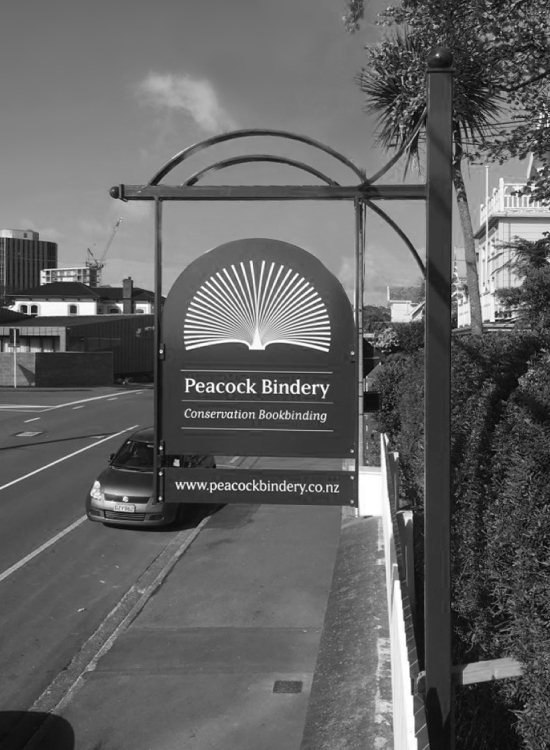 Original pastedown retained. New yellow flyleaf attached.